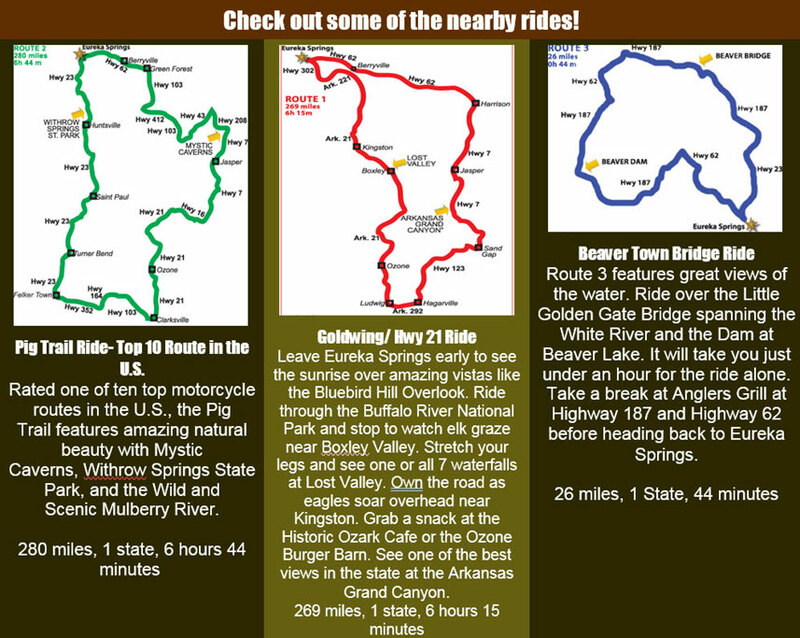 There is plenty of open space for scenic motorcycle rides in Northern Arkansas. The Ozark Mountains provide a spectacular background as you head out along the picturesque roads and routes. Get your trip off to a great start by reserving our Eureka Springs, Arkansas Motorcycle Package. **Bike Parking is subject to availability. ***Offer is subject to availability and not valid with any other discounts or group rates. To book our Motorcycle Package, please contact the hotel direct at 1-800-552-3785. Check out some of the nearby rides!